I have Used the Kew Floral collection Cd. 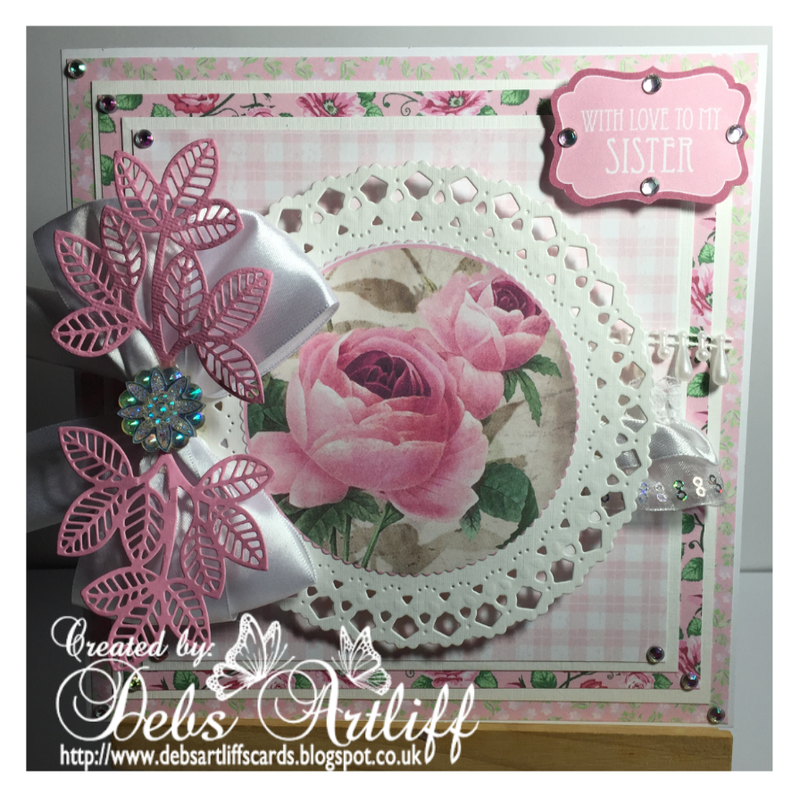 I then added my topper to the centre of my card. Next I tied a large white bow and I added it to the side of my topper. to the top of my bow. 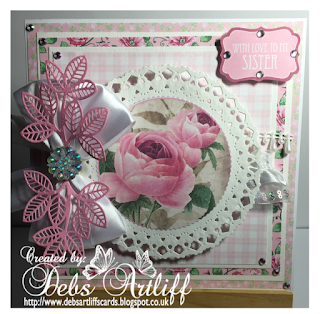 So pretty love the florals .A lovely feminine feel to this creation .